The delicious food at the Ranch is one of the things that keeps guests coming back time and again. But gaining weight during your stay can be very discouraging, and we get it! The food philosophy at The Ranch is centered on a variety of whole foods packed with nutrients, high in fiber, balanced in protein and healthy fats. Many of these foods are even from our organic garden. Food consumed in this most natural state is naturally low in calories, so our meals are crafted to sustain your energy through your active Ranch days, yet not send you home with unwanted pounds—even if they were created by exercise. Yes, exercise can add weight in the form of muscle! Read more about how your body adapts to exercise here. 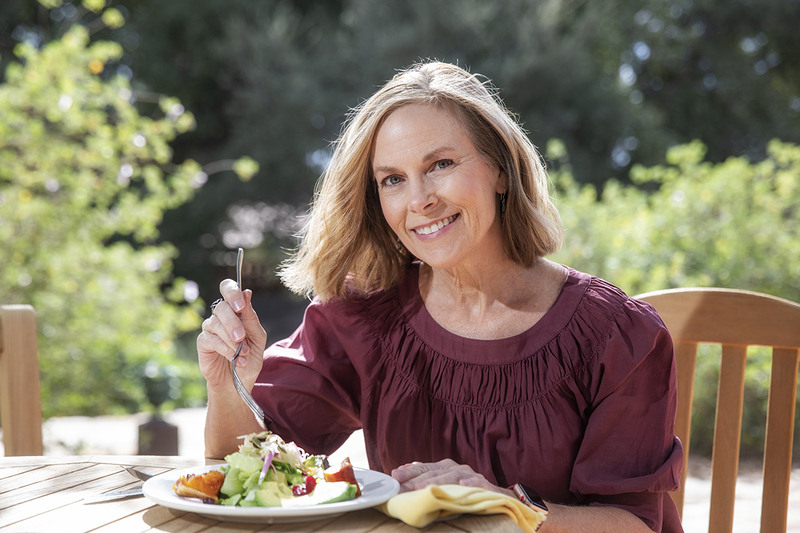 The menus at Rancho La Puerta provide about 1500 foundational calories per day for women and 1700-1800 for men which will encourage weight loss for most people with active days at the Ranch. These foundational calories are provided by the menu as written by the Chef. This includes fruit and an entrée at breakfast; soup, salad, and entrée at lunch and dinner, and may include fruit or a sweet treat. If you don’t indulge in too many extra foods from the supplemental buffet bars you will be eating about 1500 calories each day. Those who are very active will need to add more of these extra foods, but if you don’t need the extra fuel or nutrients, you should limit these foods. It’s always safe to indulge in more greens, a small scoop of beans and a ladle or two of salad dressing. But if you are looking to lose a few pounds, be sure you are not sabotaging your own intake. Weight loss can be impeded by just 100-200 calories a day! Breakfast: Choose the entrée or eggs, include one starchy carb like oatmeal, cereal or toast, one bowl of fruit, a green juice, salsas, and coffee or tea. Dinner: Choose the soup, salad, and entrée. Skip the dessert or request fresh fruit. 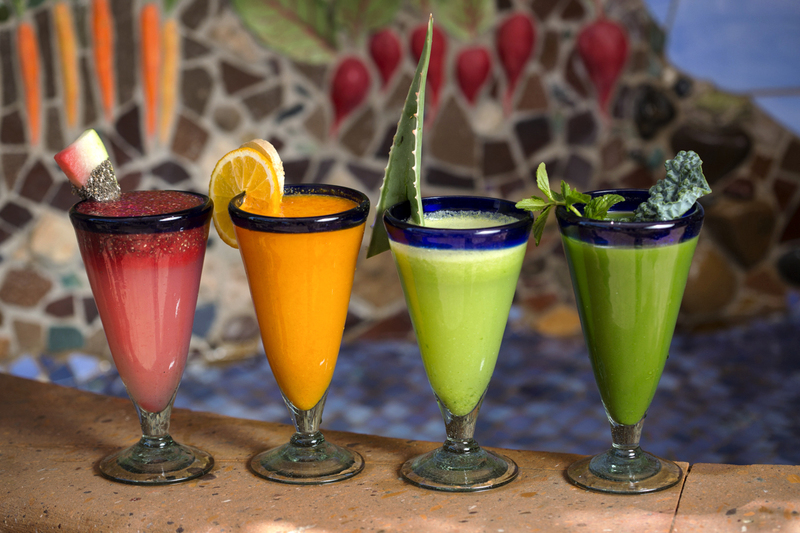 Enjoy one complimentary smoothie by the pool or the crudités in Main Lounge each afternoon. Note that alcohol is calorie high and nutrition low and therefore does not enhance weight loss. If you choose to partake, do so in moderation if weight loss is a goal that you have. Remember, if you eat off property these are not “spa meals” and can be high in overall calories. 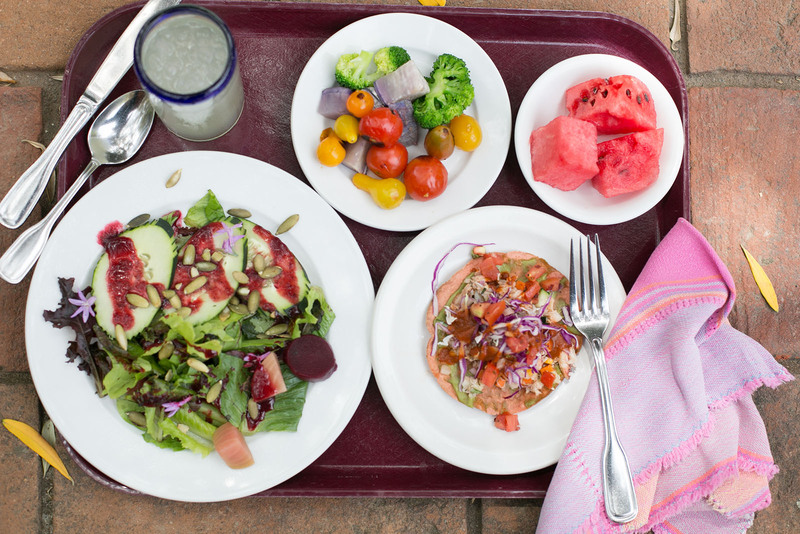 See more nutrition tips or learn about Rancho La Puerta’s culinary philosophy. 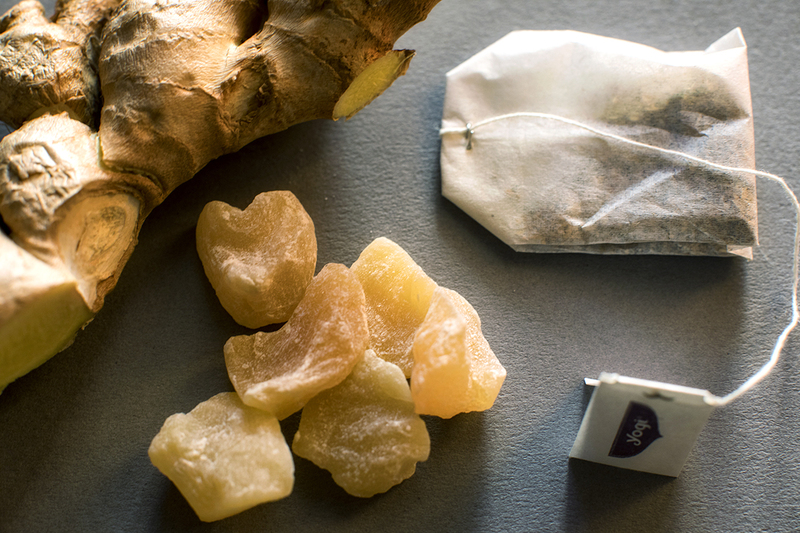 Adding Fresh Ginger to Enhance Digestion.